Tell us about Bridal Reloved. We sell immaculate pre-owned wedding dresses. These dresses are either brand new, ex-sample or worn once and cleaned. We also sell veils, tiaras and other accessories. Bridal Reloved wants to help people spend less on their wedding, without compromising on design, style and class, which is why we only sell top designers. I previously wanted to work as a wedding planner, but after working in the airline industry for 12 years, and having my family, being part of the Bridal Reloved franchise was the perfect opportunity for me. After a friend recommended contacting Nwes, I sought their advice and was put in contact with local Business Advisor, Sergio Aschettino. I was determined to make Bridal Reloved a success story in Sawston, and I worked with Sergio to gain the skills and knowledge I needed. I was also eligible for a Start Up Loan, and Nwes supported me through the application process. How else has Nwes helped you? I attended Nwes seminars, and I was able to call or email Sergio whenever I needed to for guidance. He has truly been invaluable. He helped me with my business plan and my financials, as well as my loan application. 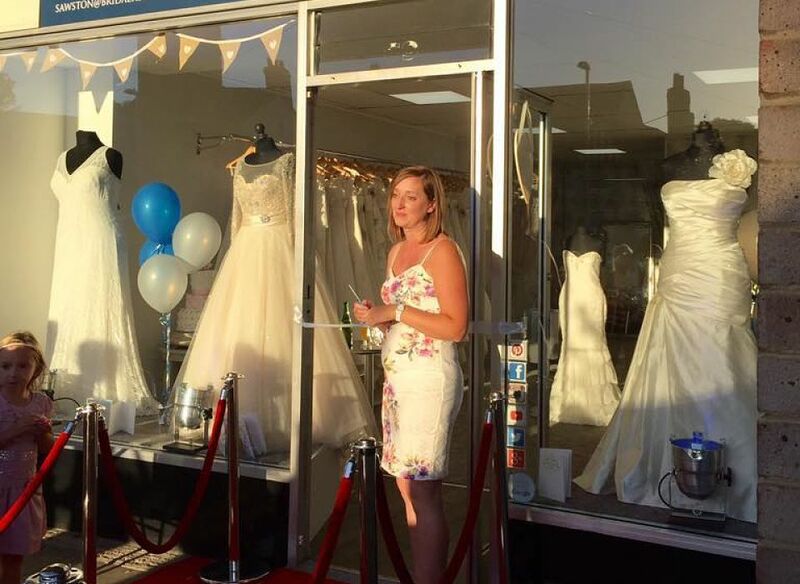 I now have my own Bridal Reloved shop in Sawston, Cambridgeshire, and hope to recruit new staff as the business continues to thrive. Business growth is very much part of my vision, and I will continue to receive support through the Start & Grow programme, also delivered by Nwes, as I drive Bridal Reloved forward. My plans for the future are to be able to employ staff and open full time. My ten year goal is to open a second franchise. I hope to achieve these plans with dedication and hard work. The highs of running my own business have definitely been each time I’ve made a sale, and when I’ve realised all of the faith and trust people have put in me. I no longer have to get up at 4am every morning and I can work my business around my children and childcare.